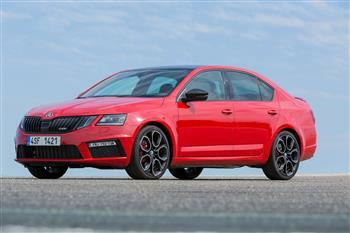 From October the topline Octavia can be had in four variants with two levels of specification – RS and RS245. Priced from $39,990 RRP, the RS represents the lowest price point at which the 180kW/370Nm version of the EA888 turbo four with 7-speed wet clutch DSG transmission and limited slip differential has been made available. The RS245 adds standard features including Adaptive Chassis Control with adjustable dampers and 9.2 high-resolution media screen and premium sound. "SKODA Octavia customers almost always express a preference for highly-optioned petrol engine cars," ŠKODA Australia Director Michael Irmer says. "Since the availability last year of the RS245 with its enhanced drivetrain, Octavia RS buyers have gravitated to this, the most potent variant to date."